In this review we are going to take a closer look at a brand new pop-up book titled: This Book is a Planetarium. 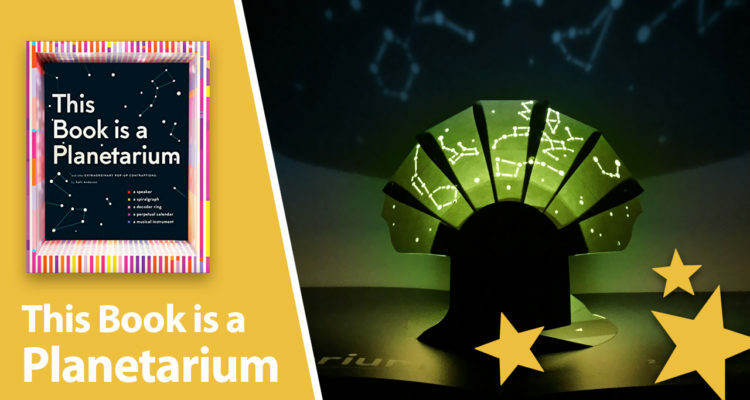 Yes, this pop-up book is a planetarium but it’s also so much more! 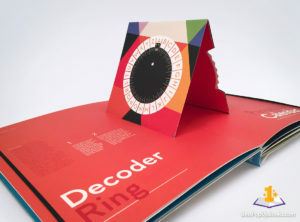 Paper Engineer Kelli Anderson, who also created the pop-up This Book is a Camera in 2015, now takes the concept of pop-ups with real functionality to a whole new level. The result is a surprising and beautiful book with stylish pop-ups that all have different functions like a musical instrument with strings, a spiralgraph, a decoder ring, a perpetual calendar and a speaker that amplifies the sound of your smartphone. And last but not least, a beautiful pop-up planetarium that projects stars and constellations to the ceiling! What can paper do? That’s an interesting concept when you think about it. With pop-ups, it’s possible to create constructions that not only fit in a book but also use their shapes to amplify sound or mechanisms that make it possible to reveal hidden secrets like stars and encrypted messages. 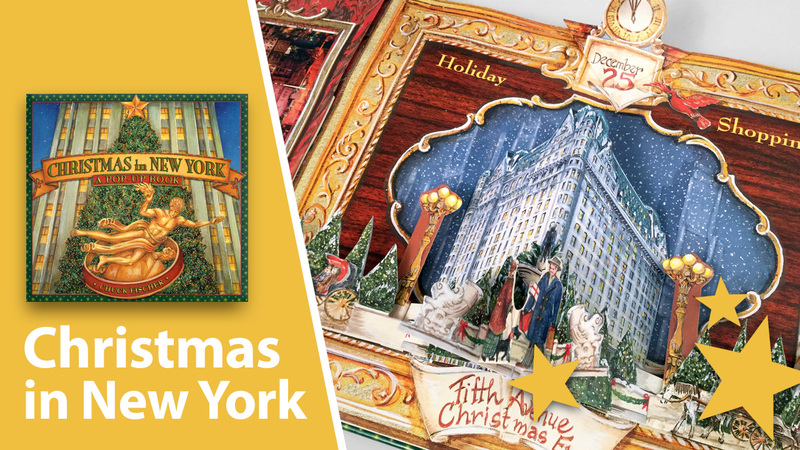 It’s all in this book! 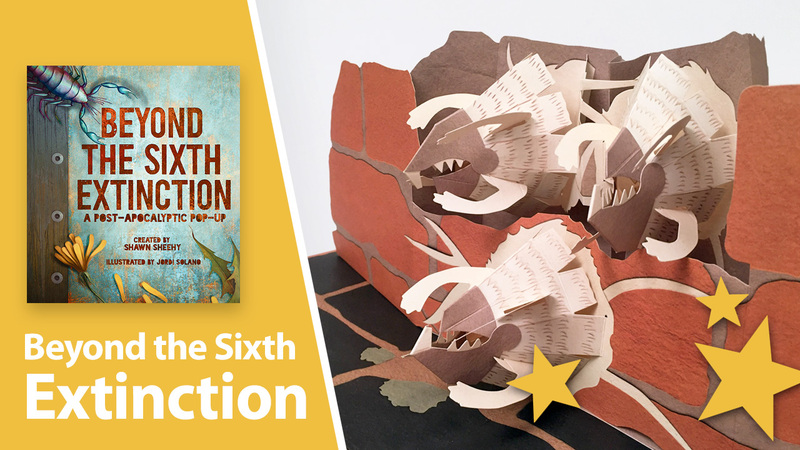 Kelli Anderson managed to design five solid pop-up spreads that really function as a speaker or instrument. This Book is a Planetarium is designed in the same minimalistic and colorful style as Kelli’s previous pop-up title: This Book is a Camera. Every pop-up in this book has its own functionality but also a unique palette of colors that create a different theme for every spread. 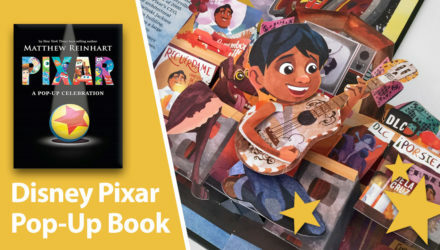 It’s a small art gallery in a book! 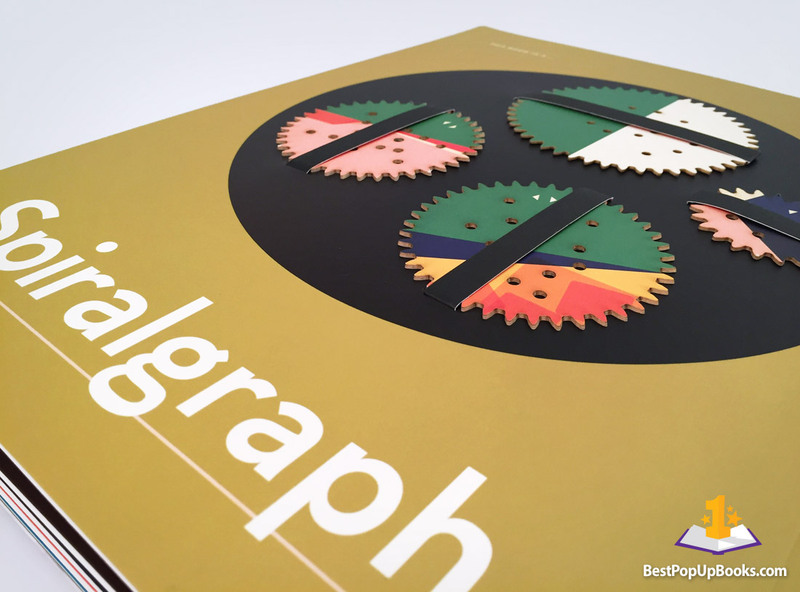 Decorated with fresh typography and abstract shapes, every page grabs your attention right away and invites you to give it a try. 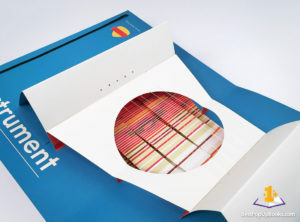 All spreads contain brief instructions about how to use it and information about Why it works this way. 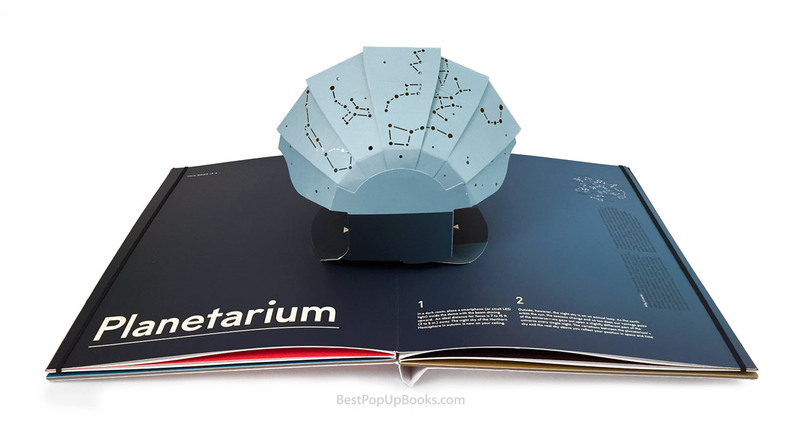 This Book is a Planetarium is a surprising and beautiful pop-up with stylish pop-ups that all have different functions.